The Sacramento Kings, who play at the third-fastest pace in the NBA, came into Salt Lake City and were immediately run off the floor by the hot-shooting Utah Jazz in a 119-98 rout Friday night. 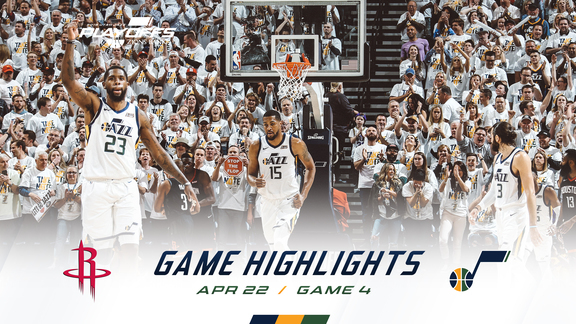 The Jazz (49-30) built a double-digit lead within three minutes and then led by as many as 30 as they locked down their seventh straight win. "We did what we had to do tonight to get the win," Jazz center Rudy Gobert said. "It's focus. We work on it every day. Some days aren't easy, but we remind each other that that's who we are. We have to get stops. Tonight was just one of those games. We did a great job." 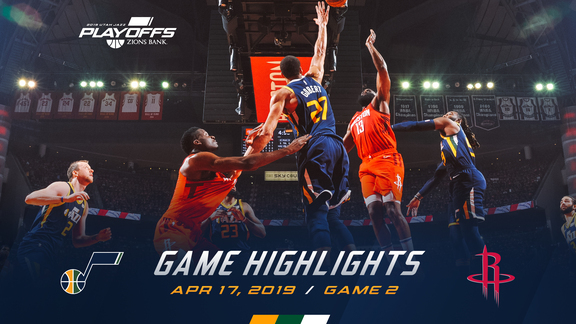 Donovan Mitchell paced Utah with 23 points, five rebounds and nine assists (with zero turnovers), and Gobert logged his 64th double-double of the season with 17 points, 12 rebounds, two steals and four blocks. Rookie Grayson Allen added 23 points off the bench, while Joe Ingles (17 points, seven assists) also scored in double figures in the win. The Jazz shot 51.8 percent from the field while holding the Kings to only 41.3 percent shooting. Buddy Hield led Sacramento (39-41) with 17 points. Starting point guard De'Aaron Fox picked up three fouls in the first five minutes and then, when he returned to the game early in the second quarter, turned his ankle and didn't return to the game. Allen's career high lasted all of two days. After scoring 14 points on Wednesday in Phoenix, the rookie eclipsed that total midway through the first half against the Kings, hitting his first eight shots—including three 3-pointers—for 19 points before by the eight-minute mark of the second quarter. He finished with 23 points on 10-for-14 shooting, with two assists, one steal and one block (plus six turnovers and five fouls) in 26 minutes. Allen has now scored 37 points in Utah's two April games after scoring 127 total points in his first 33 NBA games. The Jazz blitzed the Kings right from the opening tip, jumping out to a quick 16-1 lead behind close-range buckets from Gobert, Ricky Rubio and Mitchell, plus a 3-pointer from Ingles that forced a Sacramento timeout. After the break, Jae Crowder canned a three of his own and Mitchell drove in for an uncontested layup. The Kings missed their first nine shots. Utah extended that lead to 21 early in the second quarter with a 15-4 run—thanks to 10 points by Allen, plus layups by Ekpe Udoh and Thabo Sefolosha. The Jazz would take a 26-point lead into halftime. The Jazz put things on cruise control in the second half as the Kings never got closer than 18 points the rest of the way. The Jazz have now won 12 of their last 13 games, including seven by at least 20 points. Their average margin of victory over that stretch is 19.1 points. With a record of 49-30, the Jazz have officially surpassed last season's win total of 48. Utah shot 15-for-33 (45.5 percent) from beyond the arc, with Ingles (5-for-9), Allen (3-for-4), Mitchell (2-for-5) and Georges Niang (2-for-2) each making multiple threes. Sacramento shot only 5-for-21 (23.8 percent) from three. "I liked how we came out defensively. Everybody guarded early. Obviously we built a lead, and we were able to continue to play the right way, which is good to see. There's been times where we got a lead and kind of got sloppy and let up a little bit. 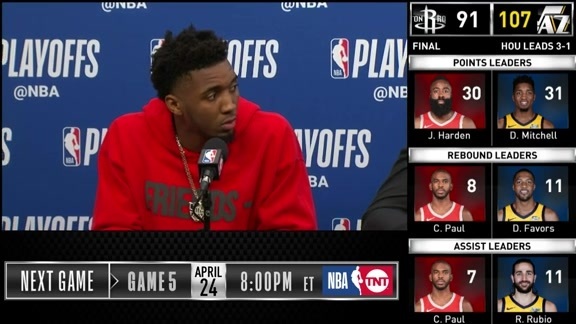 Tonight we were able to do a good job and focus on the things we needed to do." Rubio, who missed Wednesday's game with a sore hamstring, left the game after only five minutes because of a quad contusion. ... Derrick Favors (back), Kyle Korver (knee), Raul Neto (ankle) and Danté Exum (knee) did not play for Utah. ... Willie Cauley-Stein (personal) and Harry Giles III (quad) were out for Sacramento. ... Jazz head coach Quin Snyder picked up a technical foul late in the third quarter after Allen was hammered to the ground with no call. ... Kings head coach Dave Joerger was whistled for a technical foul early in the first quarter. ... Utah scored 25 points off of Sacramento's 18 turnovers. ... The Jazz dished out 30 assists. They're now 21-4 this season when they finish with at least 30 assists. The Jazz will hit the road to face the Los Angeles Lakers on Sunday night. Tipoff is set for 7:30pm MT.